Give hand painted or striping yarns a new slant. For another look use 2 solids to form stripes or just enjoy these pattern stitches in solid color yarns. Angel's Rest has a lacy feminine look while Mt. 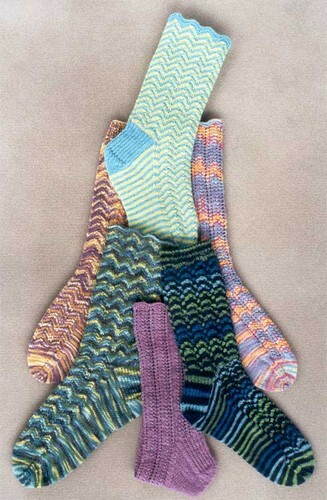 Hood will produce versatile unisex socks.